The ABI BoardMaster-RM Universal PCB Test system is housed in a convenient 19-in. rack case. It is an all-in-one unit featuring a comprehensive set of test instruments, complete with a built-in Windows 10 PC and special software for testing and fault-finding on almost any kind of PCB and assembly. Numerous valuable investigation methods are provided, such as V/I testing and digital/analog IC test, to speed up PCB repair and get equipment back in operation. The ABI BoardMaster-RM is a benchtop test system that uses a mix-and-match selection of CD-drive-sized System 8 modules to create a self-contained, customized PCB test station. This rackmount instrument provides complete testing and fault-finding for almost any kind of PCB and can be configured to suit specific needs and can be expanded later as new requirements evolve. 128 digital and 24 analog test channels are available for a variety of test and measurement techniques to track down the most elusive faults, even on unpowered boards. Comparing results with a known good board using automated-sequence fault-finding procedures, the BoardMaster can be used by minimally-trained staff for testing and problem diagnosis. The BoardMaster-RM comes with ABI’s multi-license and user-friendly SYSTEM 8 Ultimate Software preinstalled, which can be configured to guide users step-by-step through a test procedure, with custom-annotated images, PDFs, instructions, videos, and attached datasheets to give quick Pass/Fail and component fault results. The software has a built-in library with tens of thousands of common components. Using a test clip, or device adapter, the system can run multiple tests in a few seconds. 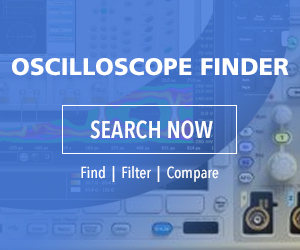 This is much faster and more economical than usin traditional oscilloscopes, meters, and other bench test methods, and allows procedures to be performed by less qualified technicians. The selection of SYSTEM 8 modules includes: Advanced Matrix Scanner, Board Fault Locator, Multiple Instrument Station, Triple Output Variable Power Supply, Analog IC Tester, Multiplexed Matrix Switch, etc. Guaranteed free SYSTEM 8 Ultimate software updates are provided for life and there is also no additional charge for maintenance fees or additional seats. The powerful yet easy-to-use software includes user access security and ABI’s exclusive TestFlow Manager for producing customized sequential test methods, which include: general testing and troubleshooting, digital/analog IC test, V/I test, visual short identification with audible/visual indication of probe distance to short, live board comparison, manufacturing defects analysis, power-on/power-off testing, QA reporting, embedded real-time control, calculation and logging, component/board level testing, digital and analog functional tests, automated test sequences, etc. Made in Europe by ABI Electronics Ltd., a leading embedded test equipment manufacturer, the ABI BoardMaster-RM Universal PCB Test Solution is available now from ABI’s technical distributor Saelig Company, Inc., Fairport, N.Y.